Your tools to radiant skin, optimum weight and vibrant health! Who says 'Beauty is only SKIN deep'? Ok, so you get a 'freebie' here from a chapter in my revised book. People are always asking, "How in the world is your skin always glowing and blemish free"? As an advocate for proper skin care routines, I was ensnared by the department store skin care and make up products for years. I came from the world of cosmetics. I was the account coordinator and regional make up artist for a large prestige make up company for over 8 years. I was the trainer to the beauty advisers' in which I held classes to teach beauty advisers' "WHY" these wonderful toxic ingredients were so good for one's skin. Yes, I taught others what I was taught. I explained the technology of the nano-capsule and the importance of it's function and how it carried the vitamin c through the product. I also explained how the lycopene in the chemicals was 'protected' and therefore giving your skin mass benefits. I could teach classes and translate formulations in my sleep. Wow! I taught this insanity? Yes indeed I did. I was just like a mass of the public, I was UN AWARE. I was not properly educated. I was teaching what I was being taught. Well it came from the "experts" and "scientist" right? After all, these products were tested and re-tested in 7 different labs. Whew, what part of chemicals being absorbed into your blood stream did I not understand? Just as I was enlightened, after our son's near death experiences, about foods and the food industry, I was also enlightened that OUR SKIN IS OUR LARGEST ORGAN. Wow, what a shocker that was. Duh...our skin absorbs more toxins than those being consumed orally. What goes ON your skin, goes IN your skin and in your blood stream. Again, I went on a mission to study the other side of the make up world. This was fairly easy, as I did not have to worry about all the 'scientific formulations'. Gee, you mean I get to put non invasive, non chemical based products on my skin and look great? You see, the last year of my reign as "cosmetic queen" of the department store company, my skin was actually beginning to act odd and do crazy things. How can this be? After all I was using one of the best brands on the market and all these chemicals have their purpose. Well they had their purpose all right, the purpose of your body finally rejecting these terrible toxins. So you see, it is just a matter of time that something catches up with you. For instance, just as with eating all these chemical, GMO, MSG and artificially infested foods, the havoc they wreak will catch up with you in a matter of years. In fact, it has already caught up with people, but they just do not make the connection of fake crap and ill health or bad skin. With all this being said, just as I mention about food....IT'S NOT ROCKET SCIENCE! Since your skin is your largest organ, then it only makes sense that if you wouldn't eat an ingredient, then do NOT put it on your skin. That is exactly what I set out to do. I gathered all food products of natural and organic of course, and experimented on my OWN skin, NO ANIMALS WERE EVER HARMED IN MY TESTING. I used all kinds of oils such as olive, grape seed, hemp oil, coconut oil and so on. I tried, making my own scrubs, cleansers and mask. My daily routine varies from week to week as I like to use as much of the Earth's goodness as I can. I use an all oatmeal & sage face soap and ONLY wash ONE (1) time per day. You know the 'golden rule' of washing your face 2 and sometimes 3 times per day, like upon waking and then before bed? Geeze, what a load of caca. How does your face get dirty in bed? Um, unless you have not changed sheets in months! Even when I worked for this company, I NEVER told my clients to do this hog wash. (Unless of course you are out all day getting sweaty, muddy or playing in the ocean, then decide to go out again at night. Then of course wash when cleaning up for evening , then wash all make up off face before bed). Of course they want you to scrub, scrub, scrub, because they want to sell, sell, sell. I will switch my face soap about every two or three weeks to an oatmeal & honey soap then to a sea kelp & red clay soap. (Keep in mind that I only use hand made or a trusted company's brand with as few ingredients as possible and sometimes I even make my own!) Then after washing, I slather my face and neck with the real deal.....our trusted medicinal plant of the Aloe Vera. Yes, your grand mother's home 'burn' remedy. This was the plant choice of Cleopatra to soak her skin in as well as her hair. Oh the wonderful cooling sensation! I let this set for a little bit while I get dressed. Aloe Vera plant is high in Vit. E and is a great 'instant face lift'. You can sleep in this a awaken with an uplifting feel and look. Of course the vit. e does wonders for the lips. Also, by using the gel of the plant for your hair, you will see no need for hair sprays or even gels. You can adjust the amount you need depending on if you want to style your hair or just dab the ends for frizz control. It is also a great gel to massage into the scalp for dandruff remedy. Then depending on my mood, after I have my aloe vera already soaked in, I rub my mood oil of choice avocado, coconut or grape seed oil all over my face and neck. Ahhh, yes. (I do keep one of each of these in my kitchen and 1 of each in my vanity to not mix up with cooking) This is used as my moisturizer. Oh what an awesome glow any of these oils give your skin! I tend to use the avocado oil mostly during the day. Avocado oil is actually one of the best anti-aging solution for your skin. Then I slather my entire body with the wonders of coconut oil. Radiant, simply radiant. I wait for about 5 or 10 minutes before applying any make up what so ever if I decide to wear any for the day. I was a make-up freak in my chemical world. These days I find that I do NOT like this stuff on my skin. So if I am in the mood for a little color, I use a little eye liner, some neutral lip liner and a neutral lip tint and if I see in the mirror that I am not satisfied with my look, then I add a concealer around my eyes and nose to even out my skin tone. If I go out at night, I will get a little dolled up by using mascara, some eye glimmers and a little color on my lips. I am not a fan of foundation at all. However, since leaving the chemical cosmetic world years ago and changing my diet and make up, I find that my skin tone has evened out and foundation is not needed. I searched for the best of the best products for my skin. The company I found that best meets my strict standards for over 6 years now is Ecco Bella . Therefore, if you do not feel you can 'make your own', then Ecco Bella is the top choice for skincare. They have amazing colors as well as skin care moisturizers, eye creams and toners as well for those of you who want a 'face in a bottle'. Great news, they are all Water FREE! Of course they are FREE of anything you do not need on your skin. Free of any animal testing what so ever and free of parabens. Better yet, their packaging is made from recycled materials and use the least amount of packaging as possible. I use their Jojoba oil over my coconut oil or my avocado oil. I also use their vitamin E stick for my lip needs. At night, when I have washed my face, I apply more aloe vera plant all over my face and neck and chest. I also rub the excess in my hair. I just can't get enough of this stuff! Then I use my trusted coconut oil all over my face and body. (My preferred brand is Selina Naturally ) I use it in my hair as a sheen for taming the frizzies during the day. It also is great for a dry scalp. In fact, coconut oil is one of my home remedies due to it's anti fungal, anti bacterial and anti oxidant properties. Prevents pre-mature aging of skin, repairs damaged skin tissue, wards off sun damage (if you have lingered in the sun to long and got sun burned) and will help bring back youthful appearance. crushed Adzuki from Amber's Earth. A great company who searched for the best of products and brings to you the wonders of this magical scrub! Once per week I slather my face, neck and chest with HONEY while in the shower and leave on till I have washed and rinsed my hair. Oh how silky your skin is after this soak! 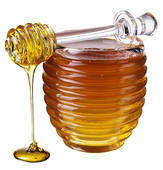 The honey acts as a natural exfoliant for the body leaving behind the softness of the honey penetration. Honey is also great for those occasional blemishes you may encounter due to its anti-bacterial properties. This was also one of the regimes of the Great Queens of Nefertiti and Cleopatra. These two were considered the most beautiful women ever. However, Nefertiti was thought to surpass Cleopatra with her beauty. Queen Esther also won the King's heart with her beauty regimes. When using honey, make it RAW UN Purified honey! Benefits of raw honey for skin disorders and other ailments can be attributed to its antibiotic, anti-fungal, antiseptic and antibacterial properties. Purified honey has very little healing properties due to destruction of nutrients during heating and pasteurization. It is known to increase production of collagen fibers and improving skin elasticity. Then about once every two weeks, I mash a 1/4 of an avocado. Yes, a real edible avocado. I mash this and then put on my face as a mask. Leave it sitting for 15 to 30 minutes. The mask dries and hardens to a clay like mask. Ahh, the feeling after washing it off. Avocado is very high in antioxidants. Antioxidants can help neutralize free radicals and eliminate toxins from your body which are nefarious for the skin. 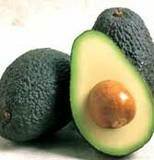 Hence, regular intake of avocado or avocado oil will prove beneficial for a healthy, radiant and supple skin. Then once on the alternating weeks, I will make my OWN Chocolate face mask out of RAW organic cacao powder (not cocoa). Just mix 2 table spoons of RAW Navita's Naturals Cacao powder & 1 Tbl. Phresh Greens with purified water. Spread on face just like any other mask and leave on 15 - 20 minutes. It hardens like a clay and gets powder film when completely dry. Wash with warm water with a sponge gently. Ahhhh, nothing like a chocolaty smell and licking your lips clean kind of treatment!. I call this the PHresh Chocolate Mask! Hey, you get your greens and chocolate in one place! Remember, there are many ways to be creative. This mask really does rejuvenate the skin and deep on a cellular level. Your skin in the largest absorbing organ. The greens really penetrate the skin and the anti-oxidants of the cacao fight free radicals. So Enjoy~! For those occasional blemishes, use tea tree oil to dot them with about 3 times per day. Tea tree oil is an amazing remedy. You will notice, if you follow my post on face book and twitter, that I experiment with different foods to use as mask. This keeps things fun and interesting. :-D I use bentonite clay as well for a face mask. Refer to my next tab on this page for my 'Edible Shower'. 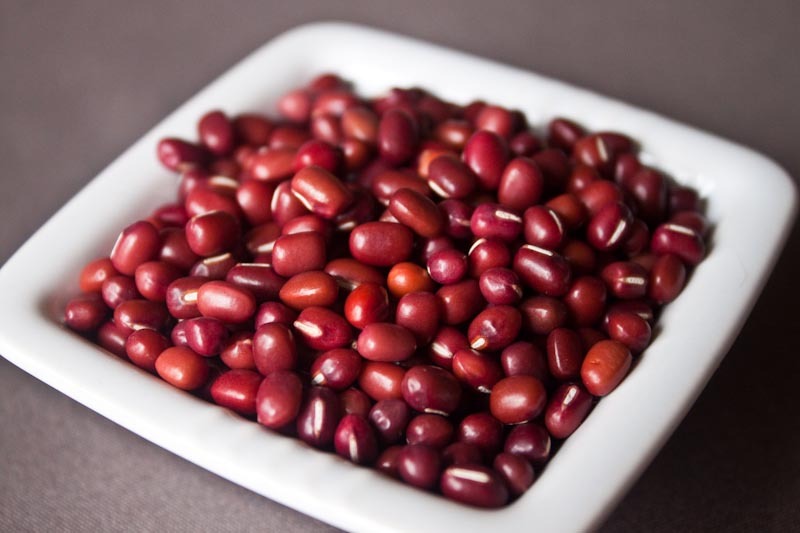 There are so many things you can enhance your beauty with right out of your kitchen pantry. Of course, the other MAIN secret to glowing, radiant skin is proper nutrition to 'fuel' your body. What goes on your skin goes in your body, and vice versa...what goes in your body reflects on the outer shell of your body. I eat lots of fats, such as avocados, coconut oil, hemp oil and hemp seeds. I also enduldge in lots of dark RAW cacao powder for my smoothies and sweet treats. Then I have to have my dark chocolate bar each day as well. Dark chocolate is so yummy and actually good for your skin. Make it organic and as dark as you can! Yes, RAW dark cacao NOT (cocoa) is high in anti-oxidants and nutrients. So EAT it and WEAR it! You really ARE what you eat. My friend Shan Stratton, says "You are what you absorb". Please also take care when choosing that right supplement. Also take care and caution with your food choices. Avoid chemical laden and processed foods as well as all the artificial crap they push down your throats. Make it REAL and WHOLE food and Organic supplements. A good digest enzyme is the key to proper nutrition and digestion. We could have this with food ONLY, however with the centuries of soil depletion, it is nearly impossible for even the best of organic food to properly help us digest our foods. Therefore we DO need that proper enzyme to help our body ecology. Also, please do not forget to eat may greens each day such as kale, broccoli, spinach, spirulina, barley, wheat grass and etc. If you just cannot seem to eat this many greens in one day, then I encourage you to check out my trusted 'on the go' friend, PHresh Greens! These super living greens are amazing. All you need is 1, yes ONE teaspoon mixed in water or juice or a smoothie per day. This amount of will give you your complete daily intake of greens. Perfect for travels! I do preach everything I practice my self. I do NOT eat GMO's, avoid MSG's and eat as clean as I possibly can. If I must go out to eat, I find an organic restaurant or find a trusted sushi restaurant. I NOURISH my body and skin from WITH IN~! Also make sure you get plenty of daily exercise, and enough exercise to 'sweat' out the toxins that clog your pores. Yoga, pilates and a simple cardio routine at least 3 times per week will be sufficient. If you can't exercise enough to sweat, then please try incorporating a Far Infrared Sauna to help you 'sweat it out'. You can obtain one of these beauties for less than $2500.00 from Great Saunas. Or if you do not want to purchase a sauna, then check out your town for spa who offers these far infrared saunas on a daily use basis. You have always heard, "get your beauty rest". This is so very true...sleep your way to beauty. Sleep plays an important role in activating our cells to work properly. It is only during hours of deep sleep that our bodies are reset to run smoothly the next day. Our cells can only properly repair them selves during our sleeping life. More about sleep in 'What the Food Industry and Government are Hiding From you'. So be sure to watch for that. Get your zzzz's, at least 8 hours of sleep each and every night. You may also want to set one night a week to count your 'blessings' early. Try going to bed at least by 8:30 one time per week every week and waking at your normal time, 6a.m. or 7. Again, there is NO magic wand to wave to throw beauty your way. YOU ARE BEAUTIFUL, you just need to nurture your inner beauty to let it radiate on the outside! Now read Fuel for the Body and you will be on your way to radiant - glowing skin. You can basically find all your skin care needs in your kitchen pantry. Try experimenting with making your own sugar & salt scrubs. You want to have that healthy glow for the rest of your body as well as your face. Try mixing 1 cup of Turbinado sugar with 3/4 C. Avocado, Sunflower, or Grape seed or Olive oil. Add some rosemary or lemon or orange zest and even mix a Tbl. Honey with it. Use daily in shower for that soft skin feel and look! Then try mixing 1 cup Celtic Sea Salt or PHresh Himalayan Salt with same oils as the sugar scrub for a really invirgorating feel and buffer for your skin. 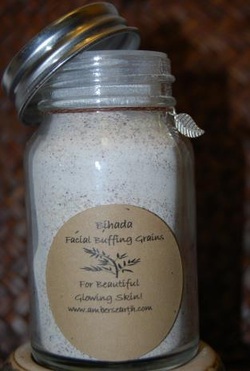 Plus you are absorbing the awesome minerals from the salt for that healthy glow! Then try adding Essential Oil of Myrr, or Primrose oil or even Peppermint for that stimulating effect. Myrr is so romantic! See my 'Edible Shower' on next tab. There are so many options and INEXPENSIVE choices right in your kitchen !or garden Please make kitchen staples ORGANIC. So you see, my routine is very basic and very edible, and yummy! You can do this. You are beautiful. You are amazing. You are LOVED! Queen Nefertiti, which means "a beautiful woman has come"
Queen Esther: She actually won a 'Beauty Contest' that won the King's heart. Follow me on FB for more insights and travels. Yummmmm....Avacado mask. YES the real smashed avacado.